A sustainable landscape is a stable and productive ecosystem that conserves the physical and biological processes occurring on that landscape. Designers and managers of sustainable landscapes minimize site disturbances and work with existing site elements to the extent possible. Designed and managed sustainable landscapes maintain soil integrity, hydrological function, plant and animal diversity and biomass, and contribute to human wellness. Click on the below images for more information on the goals and strategies of creating sustainable landscapes. This website is based on the document “Sustainable Landscapes Practices,” created by the University of Delaware Botanic Gardens Advisory Board’s Green Initiatives Subcommittee. It is based on “Sustainable Sites Initiative Guidelines and Performance Benchmarks,” an evolving document available at http://www.sustainablesites.org/. 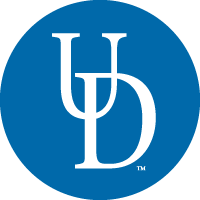 For more information about sustainability at the University of Delaware, visit http://www.udel.edu/sustainability/.